Years ago my mother worked as secretary to a publishing company vice-president. 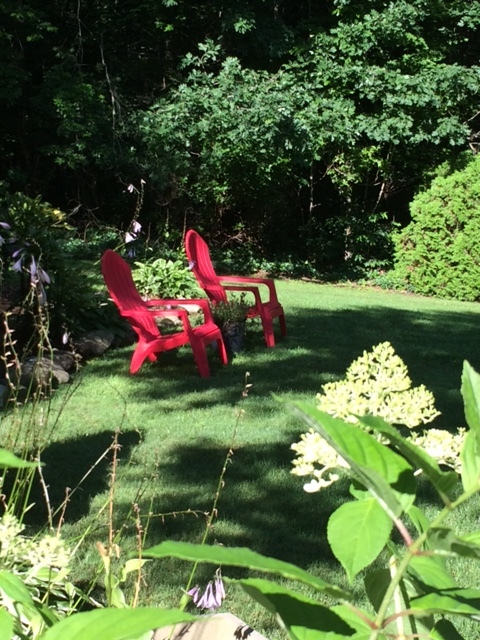 One spring she was invited to attend a goal-setting retreat with those in leadership. Her job was to take notes. During the first session, the facilitator (We’ll call him Jim.) included some clarifying questions about the mission of the company. Mom didn’t expect to participate, so she was caught off guard when Jim invited her to share. She confessed to feeling out of place and unqualified to contribute. After all, she was only a secretary. Jim suggested that Bernice tell Mom why her input was important, why she was a valuable part of the team. Perhaps Bernice mentioned a few of the gifts I noticed in Mom: her creative problem-solving ability, astute interpersonal skills, and proficiency at organization. Whatever Bernice said, the compliments embarrassed Mom but validated her deeply. Bernice had never before shared what she saw in Mom. 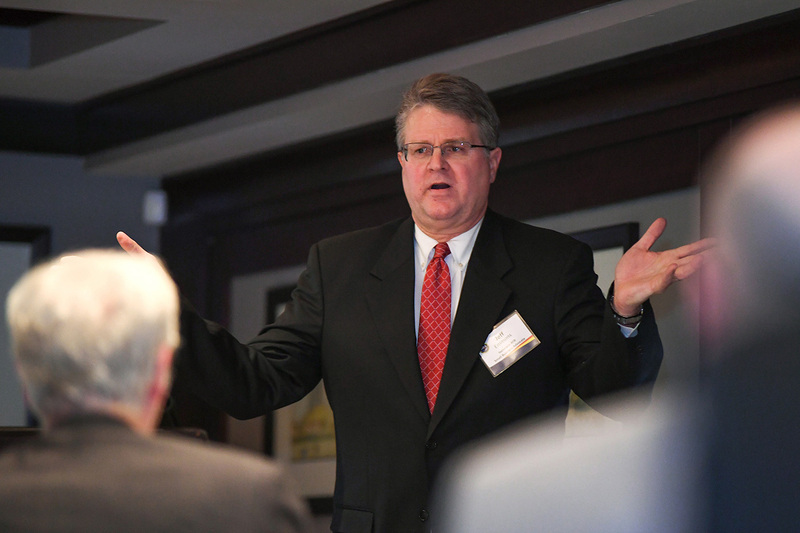 Jim explained that citing specific reasons, rather than simply telling someone not to feel a certain way, can more effectively foster a change of mindset. So in light of that facilitator’s advice, I won’t tell you that God thinks you’re pretty terrific. Let me show you from his Word what he sees in you. 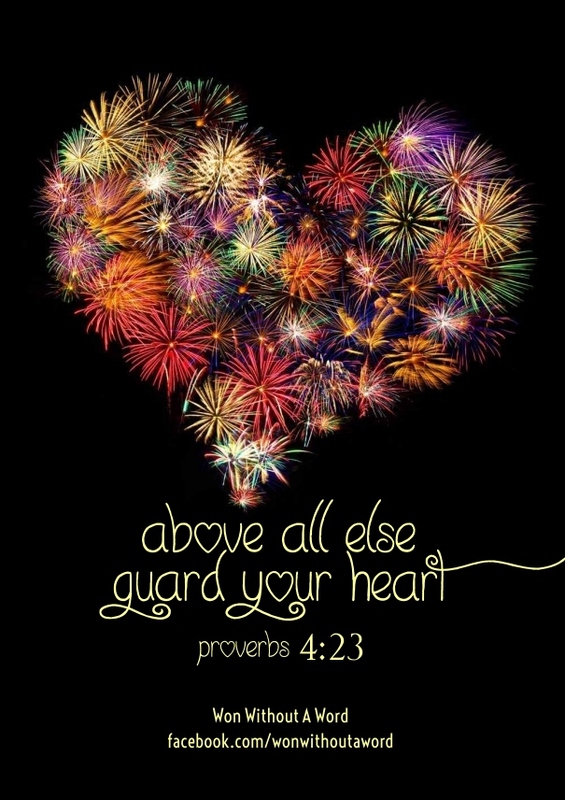 God sees you as precious and honored because he loves you. That love is not just collective for all humankind, but individual and unique—just for you. God sees and loves you—the one who handles a myriad of details so someone else can be in the spotlight. He sees and loves you—the one who swipes up messes hither and yon, parades laundry baskets to and fro, and traipses dishes from washer to shelf, day in and day out. He sees and loves you—making those calls, writing those notes, pausing to listen to sales clerks and restaurant servers. But on any given day, you may not feel particularly precious or honored—when frustration boils over into unkind words, impatience leads to anger, or unfair treatment curdles into self-pity. 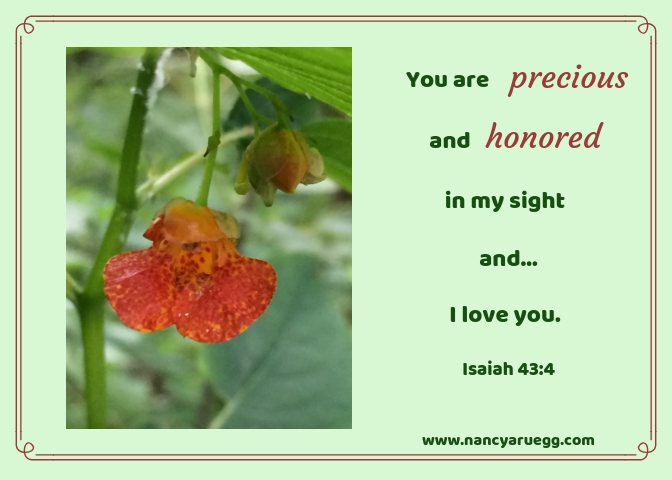 How can God see anything precious and honored in that? Perhaps it’s because he’s focused on his vision for you, his work in you. God sees you as his child. And like any loving parent, he delights in every step of growth, every benchmark of progress. With pleasure and pride he is cheering you on. Perhaps that statement evokes guilt, as it did in me for many years. I contemplated the ways I disappointed God, even failed him. But there’s a positive side to that statement. Our Heavenly Father sees our good intentions, our desire to obey him, our attempts to practice his presence with praise and gratitude. And just as we would never reject a misspelled, wobbly-lettered love note from a child, God never rejects our sincere efforts. 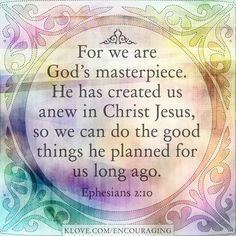 God sees you as his masterpiece, a stunning, one-of-a-kind design (Ephesians 2:10). He chose the colors of your personality, the form of your life-chapters, the line of movement from child to maturity, and the spaces both negative and positive that contribute to soul growth. God also chose a particular place for you in his world-size gallery where you could best display his artistry. And like all beautiful handiwork, you evoke joy in the heart of your Maker. 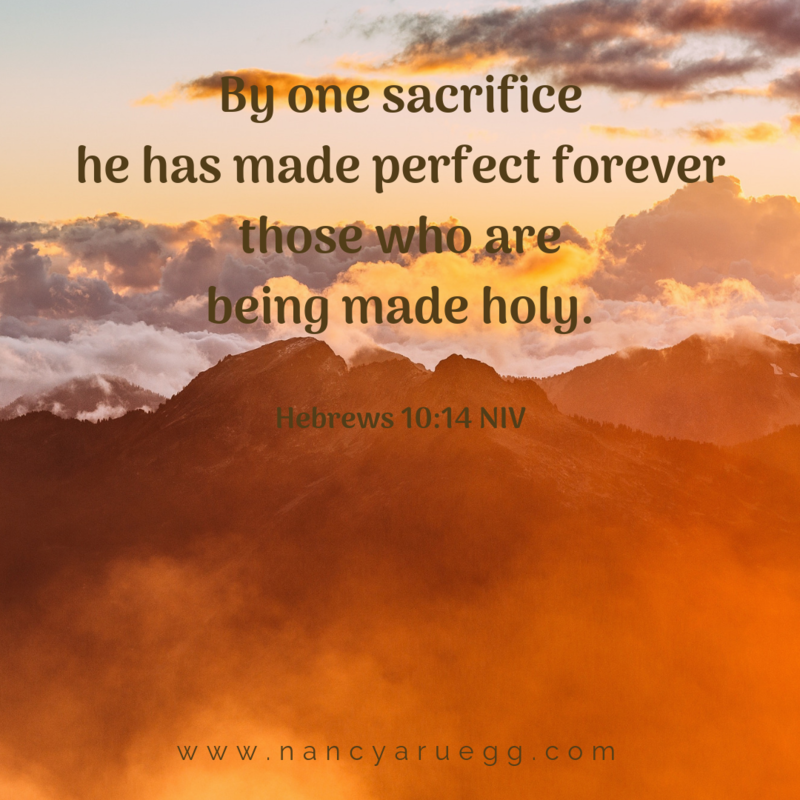 Indeed, it is holy, precious perfection that God sees in you. A number of years ago and for the span of a decade, I commuted a half hour each way to and from the school where I taught. Needless to say I saw all kinds of drivers: the speed demons and poke-alongs, the weavers and squeezers, the distracted and multi-taskers—each one an accident waiting to happen, each one confident that he or she was not. 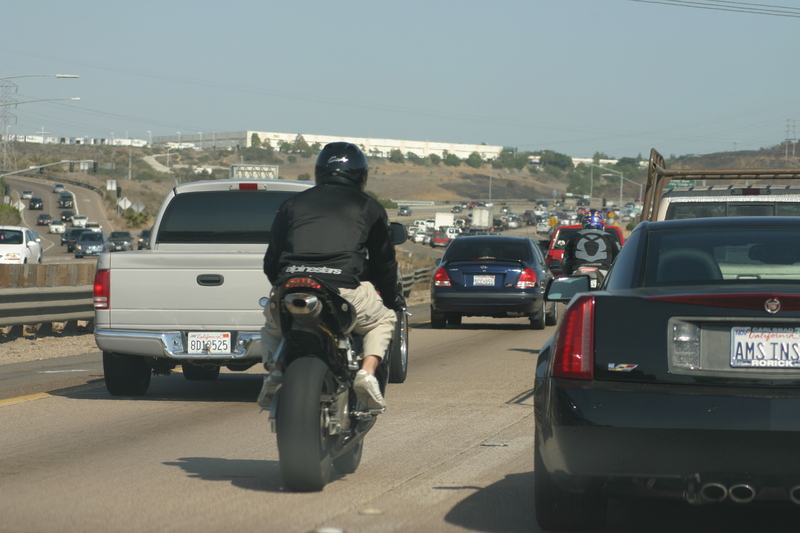 One day a young man on a motorcycle whizzed by, darting between vehicles left and right in search of the fastest lane. This was not in near standstill traffic; it was on a stretch of Florida Turnpike where the speed limit is seventy. Oh, Lord, I thought. Talk about an accident waiting to happen. That boy has no idea the danger he’s creating for himself and everyone else in his path. A few minutes later I reached my exit and gasped aloud. Lying in the grass in the middle of the cloverleaf turn-off was that young motorcyclist, far separated from his twisted bike. A few people were already hunched over him, perhaps from the nearby tollbooth area. I breathed a sigh of relief when I saw his leg move. Every now and then that scene comes to mind. I imagine that young man as he straddled his cycle that morning, anxious to be on his way for another exhilarating trip of engine revving, speed, and clever maneuvering. No doubt a trip to the hospital never even crossed his mind. The young often do live in a fantasy world of invincibility. And those of us with a bit more life-experience shake our heads at their carelessness. 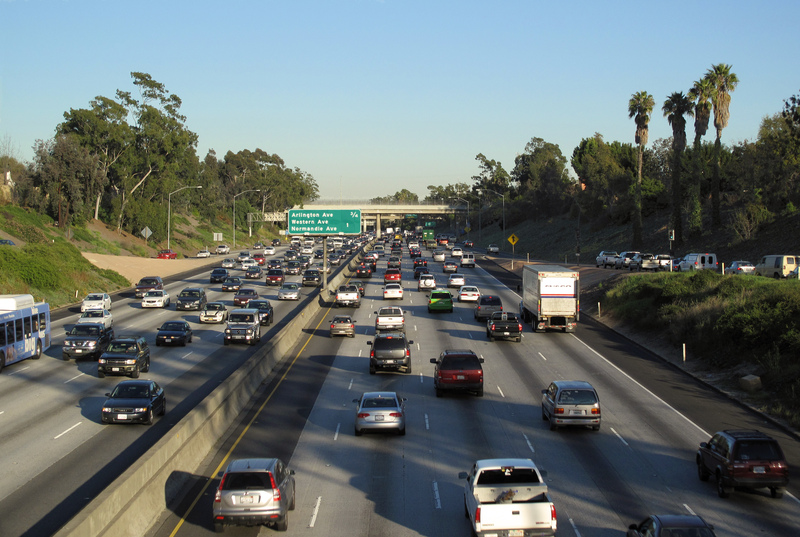 But fast-lane living isn’t the singular domain of speeders and teenage boys on motorcycles. 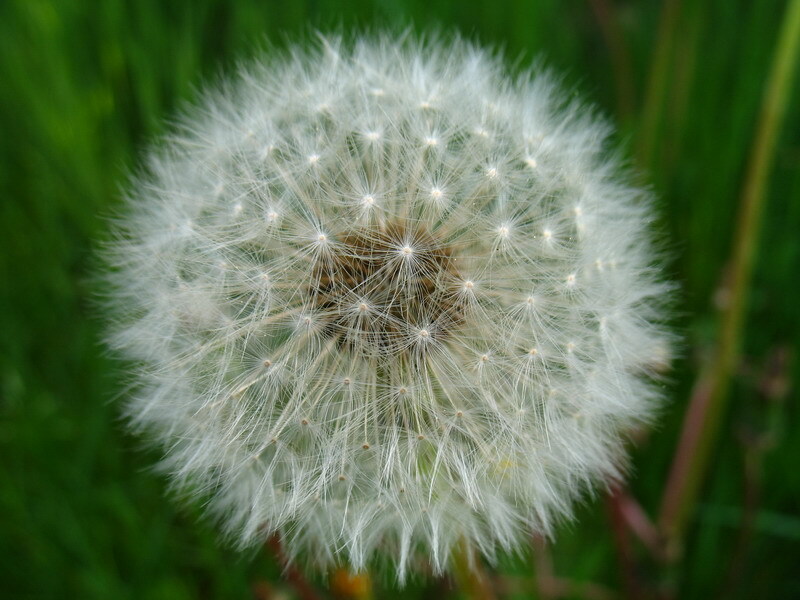 Even a retired schoolteacher like me can forget: life is fragile. Not that I drive recklessly or take foolish chances. But I am very capable of rushing through a to-do list and missing an opportunity to provide joy in someone else’s life. I can breeze right past the blessings-of-the-moment because I’m focused on something down the road. I can even forget the values I hold dear, including attentiveness to God and loving compassion for others. It is downright foolish of me to live in a fantasy of invincibility, as if there will always be plenty of tomorrows for attentiveness and compassion, while cruising along in the fast lane of frenzied activity. Find the wonder in the common. “The moment one gives close attention to anything, even a blade of grass, it becomes a mysterious, awesome, indescribable, magnificent world in itself” (Henry Miller). Take note of the everyday miracles. “Looking is the beginning of seeing” (Sister Corita Kent). Hug often. “Hugs are one of the reasons God gave us arms. So stretch out your arms to someone today…It will warm the heart of the giver and give light to the soul of the recipient” (Unknown). Laugh easily. 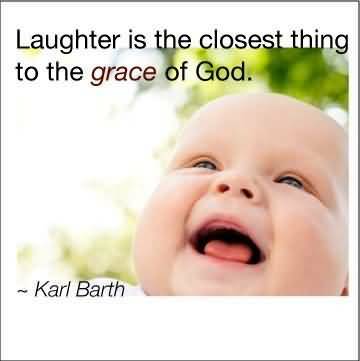 “Laughter is the closest thing to the grace of God” (Karl Barth). Value every person. “The way we treat others is more about who we are, not who they are” (Unknown, emphasis added). Forgive quickly. “Forgiveness isn’t about letting the other person off the hook. It’s about keeping the hooks of bitterness from getting into you” (Gabrielle Bernstein). Avoid negativity. “Beautiful things happen when you distance yourself from negativity” (Unknown). Choose joy. “True contentment is the power of getting out of any situation all that there is in it” (G. K. Chesterton). Lord God, I have so much to be thankful for, including this cloudy, cozy day and the welcome chill in the air. I thank you for this moment, complete with winking candle, hazelnut coffee, and soft music to keep me company as I write. Thank you also for the designated purpose you ordain for each person. Because I am still alive, you still have plans to fulfill through me, especially to bless others. And for that I am grateful as well. Keep me mindful, I pray, that fast lane living is not only foolish, it is dangerous to my soul. What will you cup your hands around today? Tell us about it in the comment section below! A delightful reward from your gracious hand of love. Caress her downy head, and kiss her soft cheeks. in mind, body, soul, and spirit. For special purpose to accomplish your good works. And the signs of your love all around her. Declaring your glory all day long. And her heart be delighted to respond. In the loving care and nurture of Jesus. As a garland of praise. The wisdom and grace to guide her in all your ways. In the Name of Jesus. *Maar (rhymes with bar)-it is a Finnish name, meaning “pearl,” in honor of our daughter-in-law’s Finnish heritage on her mother’s side. 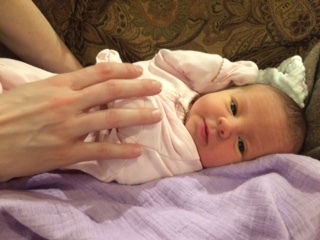 Maarit’s middle name was given in honor of Hilja’s grandmother–and me, a delightful, humbling surprise. Art & photo credits: Nancy Ruegg; http://www.pinterest (3), http://www.ourdailyblossom.com. Four hundred meters is a long sprint; he was a short sprinter. Two other competitors in the race had achieved world records in this event. He had been assigned the least desirable lane. 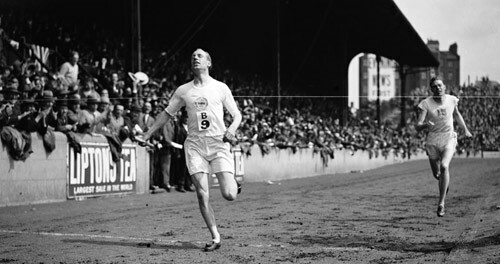 But when the starting gun fired, Eric Liddell quickly took the lead and pounded around the track at a steady pace—his head thrown back, arms pumping at his sides. Against the odds, Eric crossed the finish line first to win the gold medal. In fact, he set a new world record. 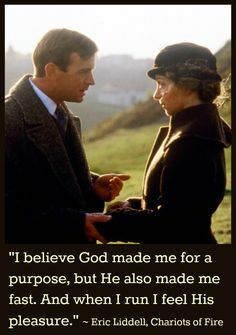 In the film, Chariots of Fire (1981), about Eric’s rise to Olympic gold, his character says, “God made me fast, and when I run, I feel his pleasure.” The scriptwriter was actually responsible for those words, but the attitude behind them surely reflected the strong faith-experience of the real Liddell. No doubt about it: Eric was gifted by God to run. And when he used that gift, Eric felt confident God was pleased, because he was fulfilling one of the purposes for which God had created him. How can a person know when the invisible God experiences pleasure? Scripture is the obvious place to begin our search for answers. In fact, the first book of the Bible—the first chapter no less—gives us indication. Seven times as God was creating the universe he “saw that it was good.” God takes pleasure in what he has made. His pleasure is especially evident in the creation of humanity. He knit each of us together—not just bones, muscle, and organs—but personality traits, modes of intelligence, talents, interests, and more. Each of us is an incredible feat of engineering, a breath-taking masterpiece (Psalm 139:13, Ephesians 2:10). With so many variables at his disposal, God creates each person with precise uniqueness for distinct purposes. God also plans out each of our lives: the places where we’ll live, the people we’ll meet, the events we’ll experience (Psalm 139:16). In Psalm 147, we’re told, “The Lord delights in those who fear* him, who put their hope in his unfailing love” (v. 11). What might that delight or pleasure feel like to us? Perhaps a warm contentment in the spirit—the way we feel when someone we respect smiles upon us with approval. Perhaps deep confidence as we live by his wisdom. Take joy in his presence (Psalm 16:11) through worship—anytime, anywhere. Radiate his joy to others. There is blessing in being a blessing. Make right choices – especially the tough ones. Eric Liddell surely sensed God’s pleasure as deep confidence when he made the tough choice not to run in his best event, the 100-meter, in the 1924 Olympics. The race was scheduled on a Sunday, and Eric took seriously God’s commandment to keep the Sabbath set apart for worship and rest. When does God experience pleasure from our lives? “God made me ____________. When I __________, I feel his pleasure. I’d love to hear your responses. Please share in the comment section below! My mind cannot fathom the incredible privilege you have given us, Lord God. Thank you for ordaining the reciprocal process of pleasure between us: we enjoy bringing you delight, and you allow us to feel your pleasure. My mind cannot fathom it: I bring delight to the King of glory! 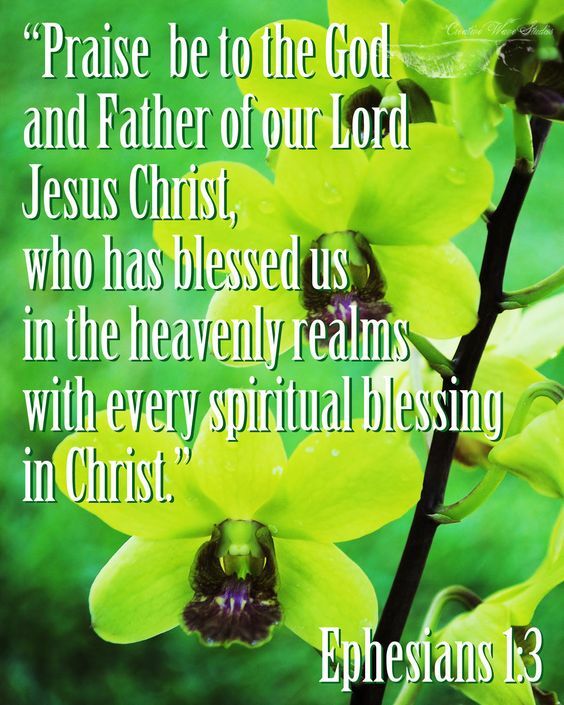 I rejoice in you and praise you with all my heart. * “Fear of God” in the ancient Hebrew refers to awe, respect, and reverence for him. 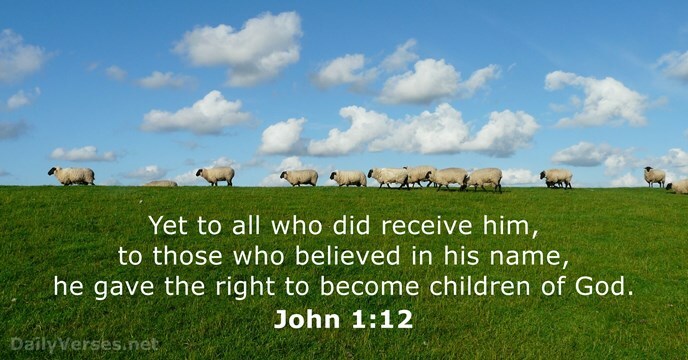 Three times in the New Testament, Jesus is referred to as Author. 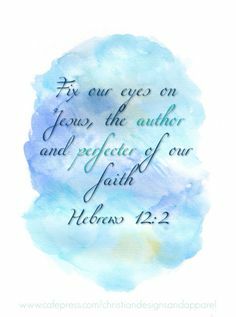 Peter called him the Author of life (Acts 3:15), and the writer of Hebrews referred to him as the Author of salvation (2:10) as well as the Author and Finisher of our faith (12:2). As someone who enjoys writing, I’m intrigued by this title for Jesus. How is he like an author? And how should his role as Author impact my life? Writers are creators. Where a character, place, or idea did not exist before, an author brings them to life. Without C.S. Lewis, for example, we would not know Aslan, the great and noble lion, the land of Narnia, or the concept of a New Narnia with its astounding dimensions: ” The further up and the further in you go, the bigger everything gets. The inside is larger than the outside” (The Last Battle, Book #7 of the Narnia series, p. 180). 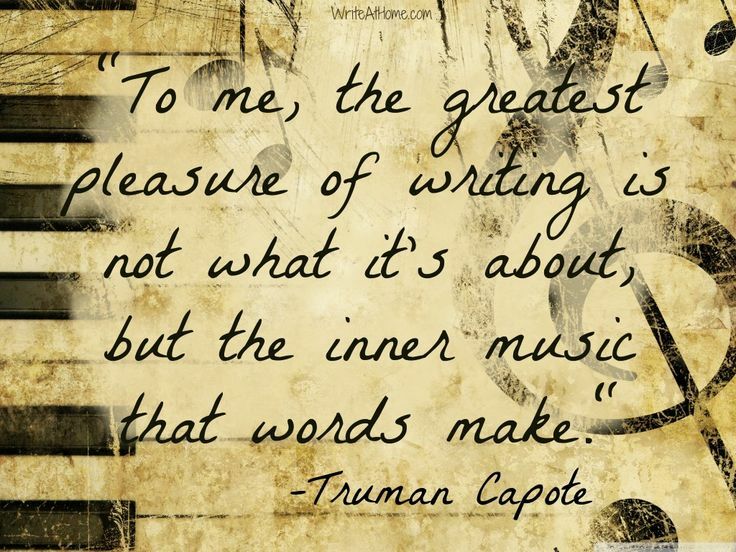 Writers animate settings, characters, and ideas with the choicest words they can find. The sentence, “A bird sat on the gate looking over the snowy field,” becomes “A black and white magpie, sitting on the rail of a gate, reigned benevolently over the tranquility of a snowy field” (from Lisette’s List by Susan Vreeland, p. 322). 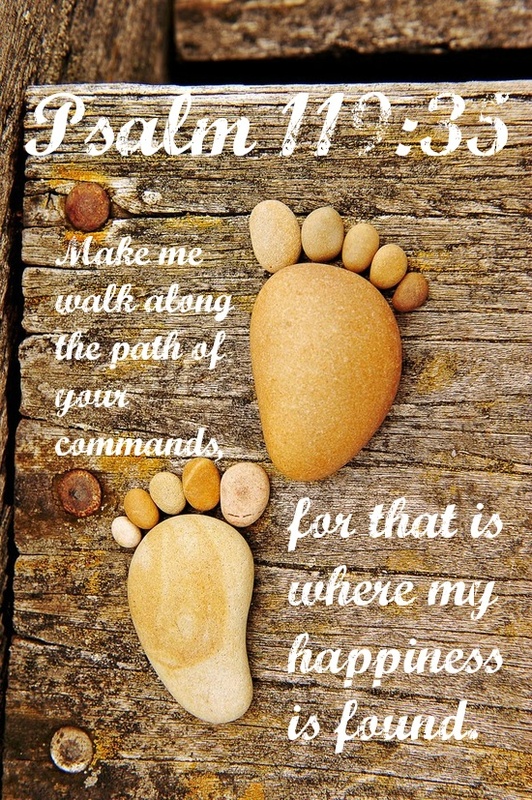 Jesus animates our lives with his choicest blessings: purpose, hope, contentment, and joy. Writers cajole their ideas on the page, striving to form nebulous concepts into clear, solidly built statements. They organize their thoughts, structure sentences, and decide upon word selection. Jesus lovingly coaxes us along, slowly over time sharpening the fuzzy understandings of our faith into solidly built knowledge, wisdom, and conduct. Writers peel away redundancies, wordiness, and boring details. Jesus peels away our sins, spiritually unhealthy habits, and weighty emotions like discouragement, anxiety, and fear—any excesses that keep us from being our best selves. According to author, Joan Lowery, writing is “a complicated mixture of art, craft, structure, free-flowing ideas, unleashed imagination, soaring hopes, wondrous insights, giddy joy, deep satisfaction, strong persistence and solid determination” (from The Making of a Writer, pp. 1-2). 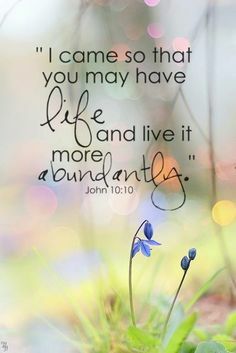 fills our hearts with deep satisfaction (Luke 6:21, John 10:10). Joan Lowery’s long list of writing components (above) appears daunting. It’s a wonder anyone puts pen to paper or fingers to keyboard. Yet there are many of us who actually enjoy the process—the discovery of new information and ideas as we research, the development of clearer understanding while wrestling with a concept; the puzzle-assembling of thoughts into organized paragraphs and words into precise sentences; the delight of creating a musical rhythm among the syllables. Surely Jesus feels the same. His purpose as Author is not to produce best sellers of our life stories. He’s interested in relationship. In collaboration with each of us, Jesus wants to write upon our souls and create inner music together: symphonies of joy, madrigals of peace, and songs of love. Praise God, he takes great pleasure in the process (Psalm 149:4, Philippians 2:13). For the record, Genesis 1:2 and Psalm 104:30 give us glimpses of the Holy Spirit’s role as well. God the Father and the Holy Spirit are also involved in the process, of course, as three-in-one. Paul said, “We are God’s workmanship, created in Christ Jesus” (Ephesians 2:10). That word, workmanship, is translated from the Greek word, poema, from which we derive our English word, poem. Our triune God is making us into heavenly pieces of poetry—“the highest, finest, most beautiful expressions of his thought and purpose!” (Herbert Lockyer, Seasons of the Lord, 330). (Art & photo credits: www.pinterest.com; http://www.wallpaper4god.com; http://www.pinterest.com; http://www.crosscards.com; http://www.pinterest.com (2). From stage left, she crosses the platform in confident strides. One hand waves in sweeping arcs to the large audience. The crowd claps and cheers. In the other hand, with confident ease, she holds the microphone. And the smile—big and broad, bright white teeth visible even from the balcony. Able to sing like a nightingale and articulate truth with conviction. Impacting thousands. Now there is someone God is using in a powerful way, whispers an accusing voice. Look at her significant contribution in the Kingdom of God. No doubt she’s highly valuable to him. So what are you doing that’s important? Your spot in the scheme of things is nothing compared to that shining star on the stage. You might as well face the truth: You are unimportant. The ship of Significance has passed you by. Sound the least bit familiar? You’re not alone. Demons use those same lies on a lot of us. Evil spirits aren’t very creative, are they? 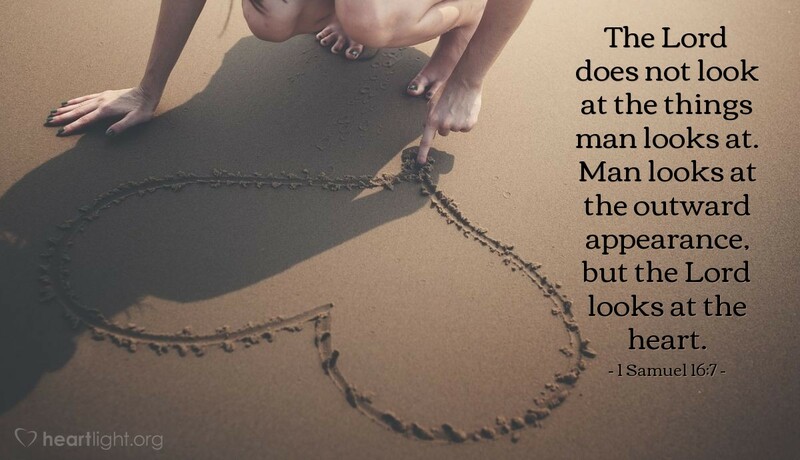 Each of us is the workmanship of God (Ephesians 2:10). The Greek word, workmanship, sometimes has the connotation of “work of art.” You are a work of art—carefully designed and meticulously executed. The verse goes on to explain we’ve been created to do good works. It does not say the same work. 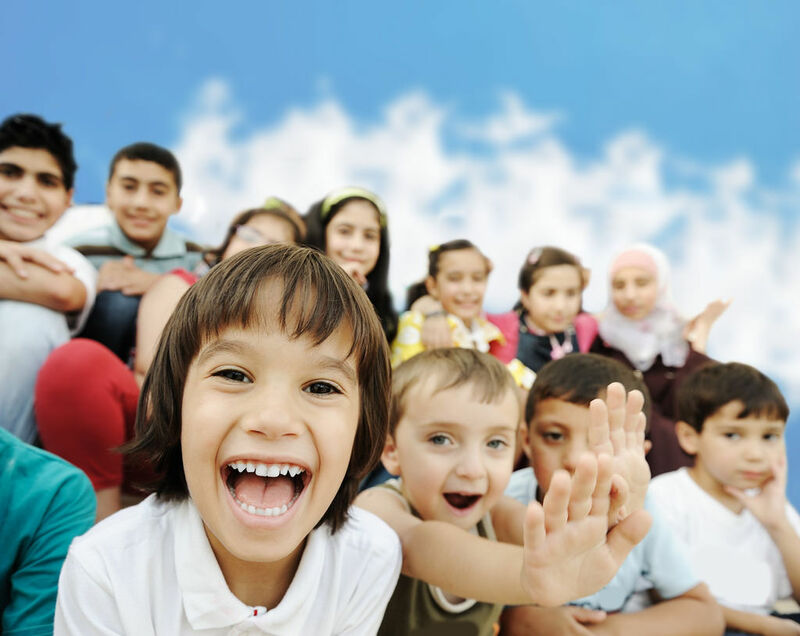 Diversity of personality, talent, and interest are necessary among the children of God in order that all his plans are accomplished. He made each of us unique, to fulfill a personalized plan. Every now and then we see such a plan unfold so clearly, we know God engineered the circumstances. Sometimes it’s a unique set of talents or gifts that work together sublimely to meet a need. Take, for example, the naturally talented writer, who happened to grow up in a bilingual home, and studied Christian Education in college. She was especially prepared by God to write Spanish curriculum for a Christian publishing company. Other times the plan is much less obvious, and we must trust that the task before us–caring for our families, teaching that Sunday School class, working at the homeless shelter–is indeed accomplishing divine purpose. What we can know for certain: each of us is valuable to God (Matthew 10:29-31). Believe that he has prepared in advance good works for you to do (Ephesians 2:10). Take joy and satisfaction from completing those good works. It may not be walking across a stage with a microphone. It might mean walking across the kitchen with a rolling pin—to bake cookies for the neighbors. That’s just a small, insignificant thing, you say? 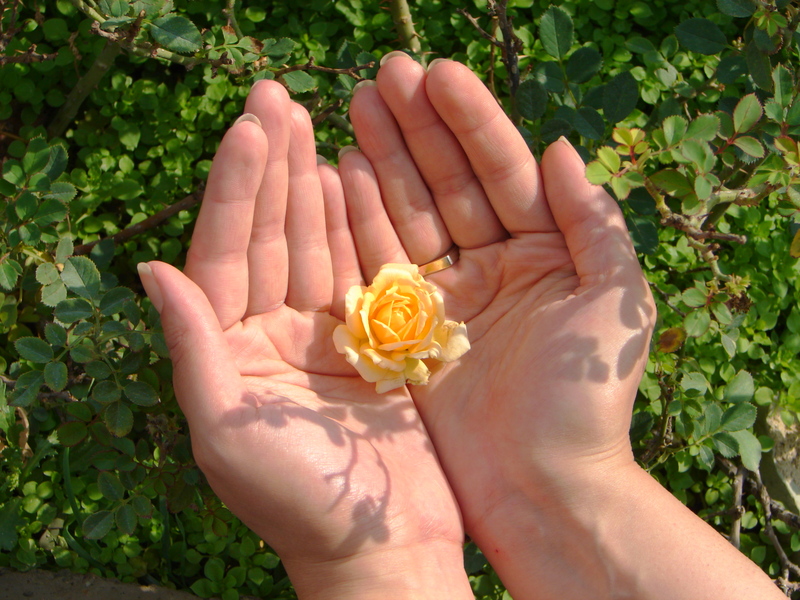 Think about this: What if God takes particular pleasure in small things? Personally, I’m fascinated by small things. Miniatures, doll houses, petit-point, babies! Two little mites given by a widow (Mark 12:41-44). Five small barley loaves and two small fish (John 6:1-13). Let’s never again allow those little demons of abasement to put us down. God has promised: “I will bless those who fear the Lord—small and great alike” (Psalm 115:13, emphasis added). You see, in God’s sight, we’re of equal worth. That would explain why worrisome thoughts can turn into paralyzing fear, pessimism into debilitating discouragement, and sadness into utter hopelessness. No one wants to dwell in such misery. But if a person is facing difficult circumstances, and she allows her thoughts to run amok on auto-pilot, she’s likely to slide downward into hyper negativity. Climbing out is difficult. “Snap out of it!” someone will say. Not very helpful. “Look for the silver lining,” advises another. Easier said than done when tragedy strikes–and lingers. “Spend some time in reflection.” That’s what one web site recommends, offering sixteen questions for a person to consider. Most of us don’t have time for that much introspection, nor the inclination, when we’re hurting. So, how can we climb out of a miserable pit of despair? By replacing negative thoughts with positive thoughts, especially scripture. You see, our brains cannot focus on two things at once. Prove it to yourself by counting to ten and reciting John 3:16 at the same time. You’ll find you’re either counting or reciting, not both simultaneously. Then we start singing a favorite praise song, listing all the reasons we can trust God in this situation, or reciting an uplifting scripture. Oh? “In all things God works for the good of those who love him, who have been called according to his purpose” (Romans 8:28, italics added). Oh, yes, I can stand. I can put on the full armor of God, so that in this day of trouble, I may be able to stand my ground” (Ephesians 6:13). Restoration will come. “Though you, [God], have made me see troubles…you will restore my life again…you will again bring me up” (Psalm 71:20). Not true. God says [He] will accomplish all [his] purposes (Isaiah 46:10b, italics added). 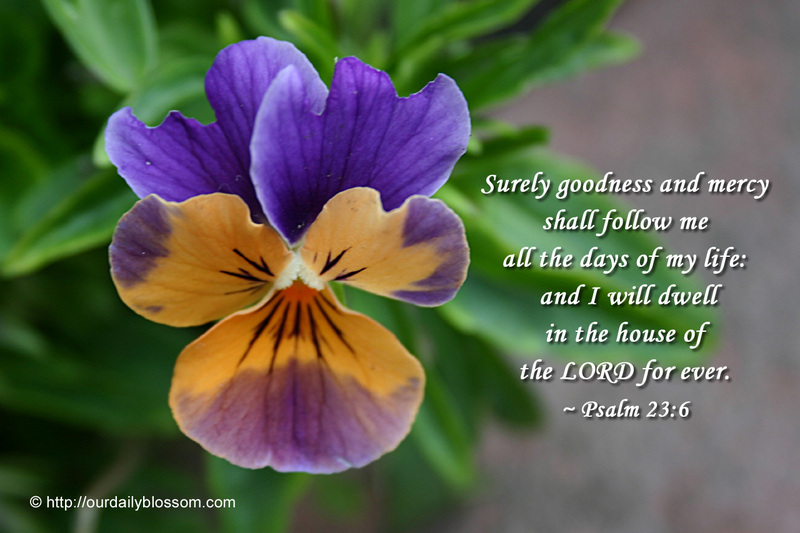 What greater success could there be than to accomplish the purpose of Almighty God? I can pray as the author of Hebrews did: “May the God of peace…equip me with everything good for doing his will, and may he work in me what is pleasing to him” (Hebrews 13:20-21). I am God’s workmanship, created in Christ Jesus to do good works, which he prepared in advance for me to do (Ephesians 2:10). If the bulleted comments in bold print are our focus, our lives will surely head in a downward direction toward discouragement and hopelessness. If, on the other hand, we focus on the promises and positive affirmations of scripture, we head in an upward direction toward wholeness, productivity, and joy. 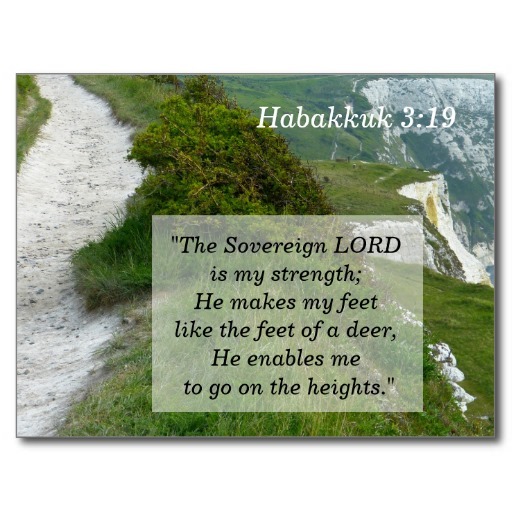 “He enables [us] to go on the heights” (Habakkuk 3:19)–above the doubts and uncertainties. What scripture promise or affirmation lifts you up when circumstances try to pull you down? Add your favorites in the Comments below! "Fix your attention on God. You'll be changed from the inside out" (Romans 12:2, The Message).